Handmade Exquisite Set! All A Grade & Material are used to make this beautiful set. 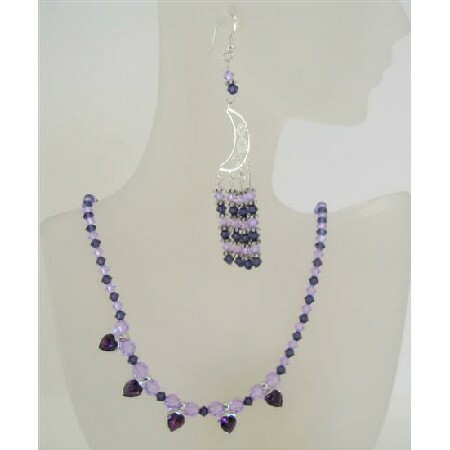 Sparkling of Swarovski Crystals Purple & Velvet with bali Silver Earrings in Sterling Silver 92.5 Dangling. This dramatically elegant Necklace adds a touch of the exotic to any look. Gleaming of Swarovski Crystals accented beautiful in Necklace with Dangling of Small Crystals Heart Pendant. This gorgeous & lustrous piece you are looking is made from the highest quality material & crafted by professional Handmade.